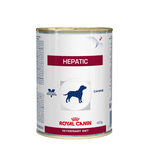 Does my dog need a Royal Canin Veterinary diet? 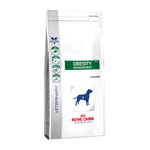 Leaders in the field of canine nutrition, Royal Canin also makes top-quality dog food that promotes long-term health and wellbeing by meeting essential dietary needs, while also appealing to dogs through a high level of palatability. If your vet has recommended a Royal Canin Veterinary Diet for your dog, you can rest assured that your dog's medical condition will be fully supported through the superior premium nutrition that Royal Canin provides. 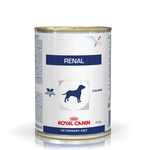 Royal Canin is one of the very few brands on the market to produce veterinary prescription diets for dogs, and has one of the largest ranges to cater for a vast array of canine medical conditions including skin allergies, arthritis, digestive conditions such as diarrhoea and vomiting, dental disease, obesity, renal failure, liver issues, and bladder issues such as urinary stones, crystals, and cystitis. 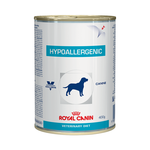 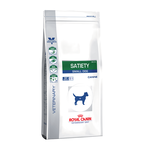 One of the most popular Royal Canin Veterinary dog foods include their Hypoallergenic formula, as it provides a complete and balanced diet with extremely few allergens to help dogs with sensitive skin or stomach. 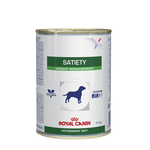 Many a customer has told us that Royal Canin Veterinary food has saved their dog's life or greatly alleviated their condition. Overwhelmingly positive Royal Canin reviews from pet parents across the country are a testament to the role that these vet diets have played in the life of their dog. Usually only available at vet clinics, Pet Circle is able to stock Royal Canin's vet diets due to our in-house vet team, which includes experiences veterinarians and vet nurses alike. Once you have consulted your vet for the correct diet, you can pop back to us and pick up 14kg bag varieties for the best price. 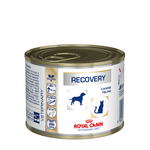 Wondering what our recommended Royal Canin Vet Diet foods are? At Pet Circle, we carry a wide range of Royal Canin Veterinary Diet dog food - you can also enjoy the convenience of free delivery over $29 straight to your door, always at the best price with our price match guarantee. 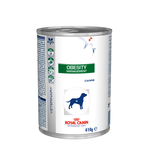 Please see individual products for a listing of ingredients as well as feeding guidelines, to make sure your dog is receiving the correct diet for their condition.